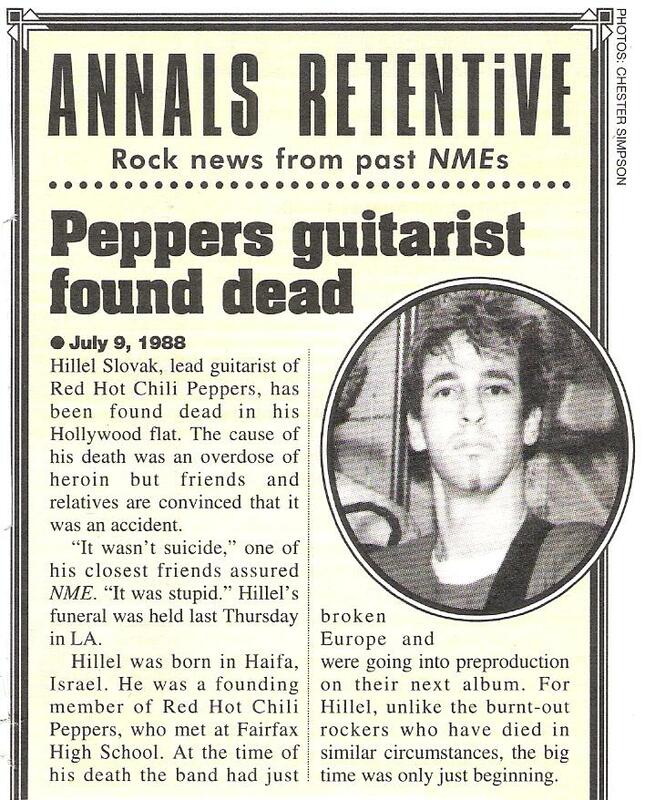 Hillel Slovak, lead guitarist of Red Hot Chili Peppers, has been found dead in his Hollywood flat. The cause of death was an overdose of heroin but friends and relatives are convinced it was an accident. “It wasn’t suicide,” one of his closest friends assured NME. “It was stupid.” Hillel’s funeral was held last Thursday in LA. Hillel was born in Haifa, Israel. He was a founding member of Red Hot Chili Peppers, who met at Fairfax High School. At the time of his death the band had just broken Europe and were going into preproduction on their next album. For Hillel, unlike the burnt-out rockers who have died in similar circumstances, the big time was only just beginning.